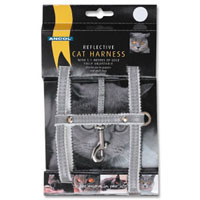 The Cat Harnesses Shown Below are supplied with a 1.1m matching lead. They have Adjustable Straps, Soft Padding and are available in Three Size Variations and for night time saftey there is also a Reflective Cat Harness and Lead Set. A Cat Harness allows an owner to exercise their cat outdoors without the freedom of roaming free. 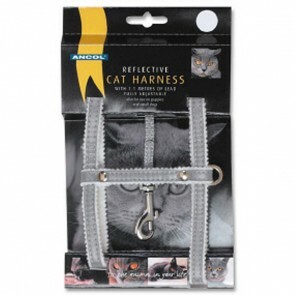 Why would an Owner use a Cat Harness? Cat Harnesses: 5 stars out of 5 based on 0 user reviews.